First Supply features the products most asked for and used by trade professionals. Listed are our top plumbing brands that are stocked at most locations. Contact the First Supply location nearest you for inventory on the specific product you are looking for. Accor, Acorn, Aker, Anaco, A.O. 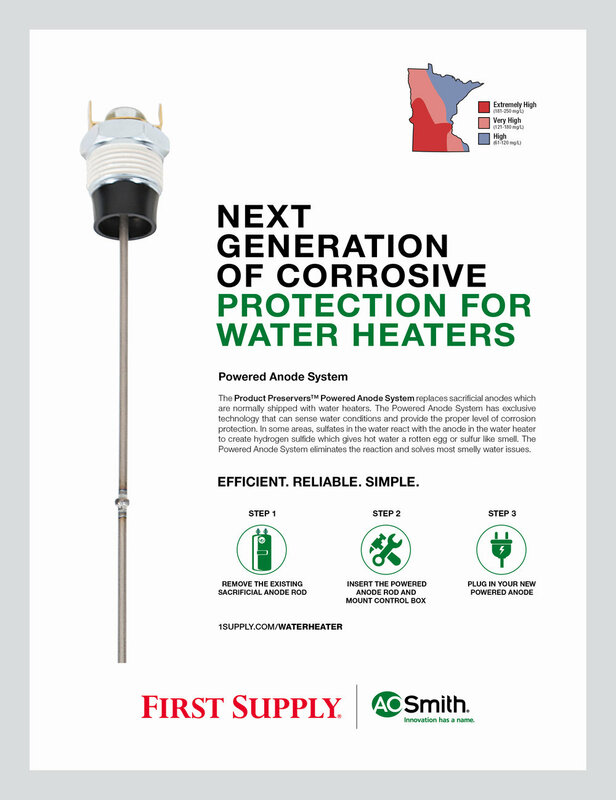 Smith, BainUltra, Barclay, Basco, Bemis, Blanco, B-Line, Boss Products, Bradley, BrassCraft, Brasstech, Brizo, Canfield, Cash Acme, Charlotte Pipe & Foundry. Cherne, Chicago Faucets, Conbraco, Dearborn Brass, Delta Faucets, Eemax, Elkay, E.L. Mustee, Fernco, Fluidmaster, General Wire, Geberit, Gerber, Glentronics, Grohe, Grundfos, Halsey Taylor, Hansgrohe, Haws, Hellenbrand, Hercules, Holdrite, Insinkerator, IPS, Jomar, Jones Stephens, Josam, Jay R Smith, Just, Kallista, Keeney, Kohler, Laing Pump, Leonard Valve, Liberty Pumps, Lift Safety, Maax, Mansfield, Matco-Norca, McGuire, Milwaukee Tool, Milwaukee Valve, Mill Rose, Moen, Mountain Plumbing Products, Navien, Newport Brass, NIBCO, Northstar, Oatey, Prier, Rectorseal, Ridgid Tool, Rohl, Salo, Schier, SharkBite, Sioux Chief, Sloan, Speakman, Steamist, Sterling Plumbing, Studor, Swan, Symmons, Gastite, TrueBro, T&S Brass, Tyler Pipe, Union Brass, Uponor, WarmRain, Watco, Watts, Willoughby, Woodford, Xylem, Zoeller and Zurn. 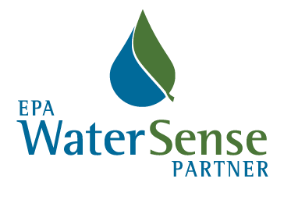 WaterSense partners are ambassadors that promote the value of water efficiency and WaterSense-labeled products, new homes, and programs. Partners help educate communities while transforming the marketplace.